An old song says; “If you want an adventure, your route goes to Warsaw” Our trip to Poland was a good chance to check this myth out. There are only 15 kilometers between Fryderyk Chopin Airport and city and it took only 15 minutes to get to city. Like all cities that have a river inside, Warsaw has two sides connected with many bridges. Westerns names Vistula, our books says Vistül River and Polish people calles this river Wisla. Wisla River divides Varsaw to east and west and the biggest boulvard, Jerozolimskie divides city to south and north. In the map upper left section of this crossed city has most of the places worth to see. 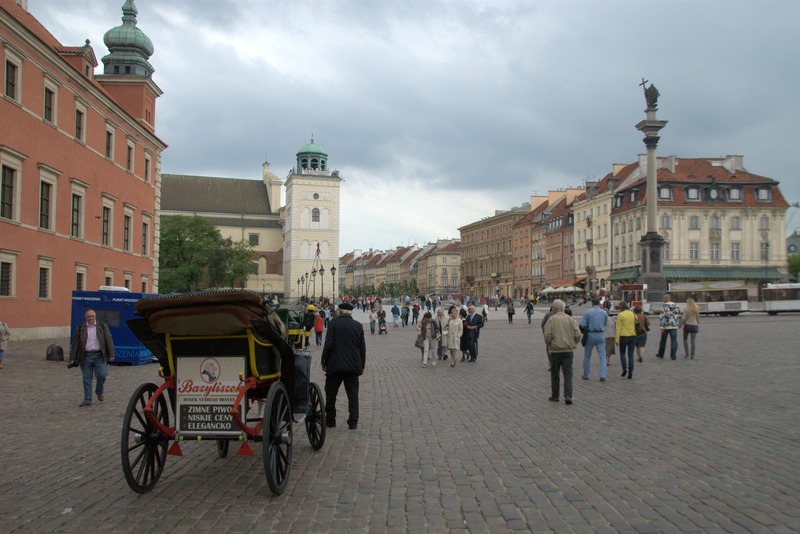 Including Royal Way (Trakt Krolewski) and Old City, hundreds of important places are packed in this small region. Warsaw was held in the end of the 13rd century by Dukes of Mazovia. Developed for centuries and completely demolished at WWII. 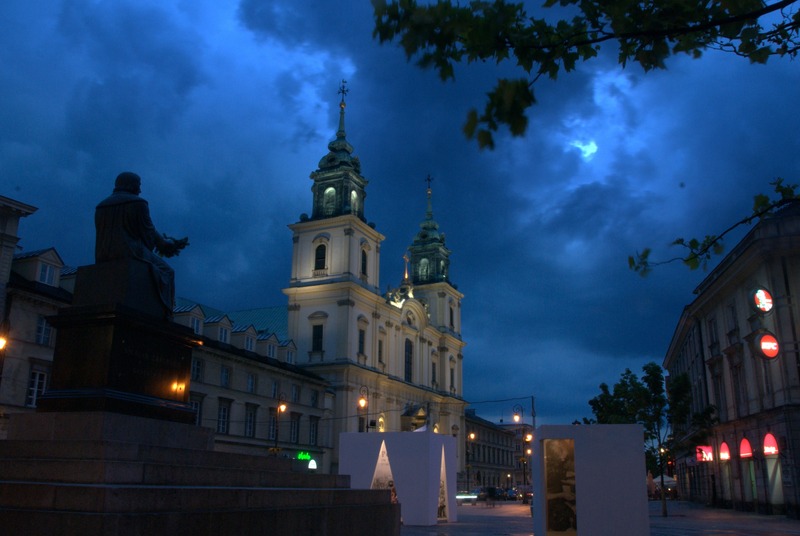 In 1945, city started to rebuild itself and untill 1989 was the capital of thi Socialist Poland. In June 2009, celebrated 20th anniversary of the Solidarity Movement. Every city has a miyth and that rule has no exceptions for Warsaw. Sawa was a young girl who transformed to a mermaid by a magician in Wisla River and waiting to be rescued by her lover Wars. Wars rescues the young girl after many adventures and they get mariied. The city named after them. There is a mermaid sculpture at the market place which located in the old city zone and this mermaid is symbol of the city. Another myth about this mermaid says; once upon a time there were two mermaid sisters in the shores of the Baltic Sea. While they were living in their deep nest, one of them decides to swim to North. She loves that place and starts to live there. Now, we can see her at Kopengah, Denmark sitting on a rock. Other one swimms to South and comes to Wisla River. When she arrives to the sands of old city she loves and decides to stay there. Fishermen see and decide to catch her. But when they hear this beautiful mermaid’s spectacular songs they love this fish-woman. One day a jelaous villager sees them. He plans to catch the mermaid with a trap and making money with showing her to public at carnivals. He catches the mermaid with a trick and close her to a cage where she can never reach to water. Son of a fisherman hears her screams and saves her. Since that day when a fisherman stucks, mermaid helps. That’s why mermaid sculpture is armed with a sword and shield. 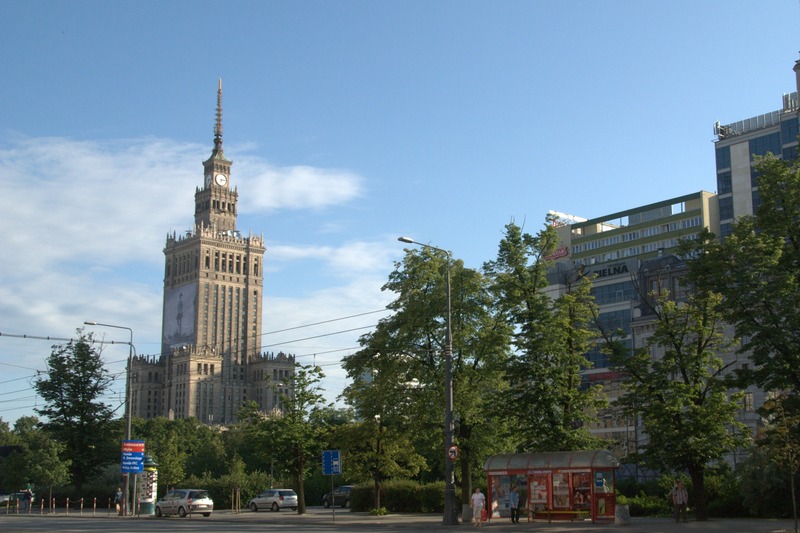 Warsaw is a modern European capital and has a cosmopolite structure. But different than other world capitals the city has a cozy and lovely ambience too. The major damage of the war also changed the city’s destiny. While the reconstruction process, wide roads, parks, social life areas was built with an exceptional city planning. Because of the short subway line, very effected trolley car, bus system and parking lots there are no traffic jams in city. There are huge wooded areas near the river, hundreds of parks and wide greenery. Warsaw has a lot of green areas besides the city map. First of all, historical heritage of centuries. Especially walking around the old city is like a journey between the centuries. This region is determined as a World’s Cultural and Historical Heritage by UNESCO and the oldest part of the city. In fact, German inviders at WWII destroyed ninety percent of the buildings in this part within 30 days. Rest became un recogniseble. But after the war, with documents inside the Royal Castle everything was rebuilt again letter-perfect. Hard to believe but these fifty years old buildings took their old duties and the old city came back to life again. St. John Cathedral, St. Martin Church, Royal Castle, Warsaw Mermaid Sculpture and old market place, Warsaw History Museum, Jesuit Church, Kanonia, Barbican buildings, Krasinski Palace, Racynski Palace, Wilanow Park and Palace complex are some of them. At first, reading Polish signs in streets was hard but they’re very well organised so getting lost is impossible. Two full days wasn’t enough to see this region. Countless restaurants and cafes are everywhere to catch a breath and drink something. Inside this historical texture there a lot of concerts, shows, plays, exhebitions and other cultural activities at many little squares. Second; war and Warsaw. War never left this part of Europe and Warsaw can be said. Every part of city has some things about the heroic stories. 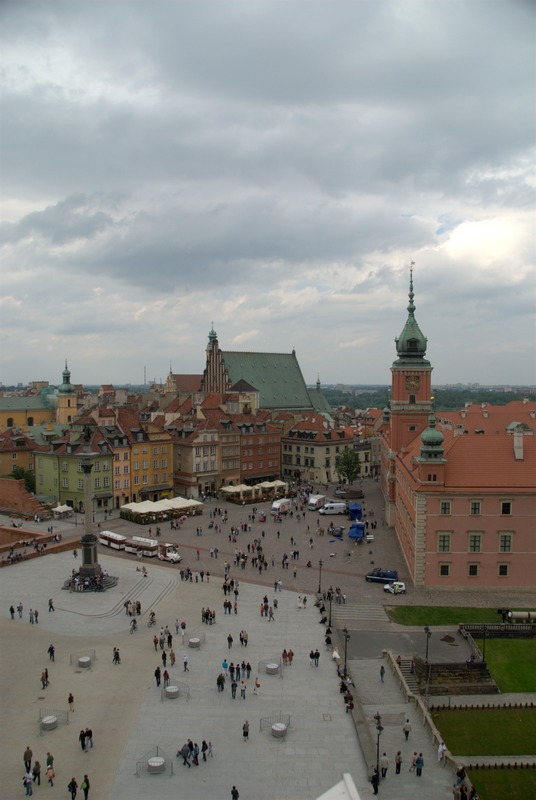 The most important architectural building is Warsaw Citadel and it’s one of the best protected defending buildings. Also was a prison for political criminals. During the WWII over 6 millions of Polish and Jewish was killed. Many place in Warsaw has sings of this tragedy. Even they’re well reconstructed, battlefields aren’t far away from Warsaw. Third; Jewish Warsaw. Before the war there were 350 thousands of Jewish people, thirthy percent of whole population. 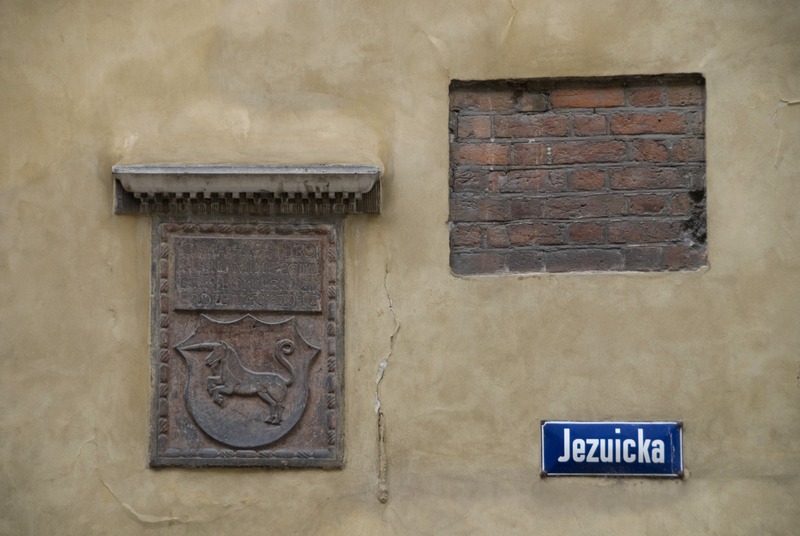 With hundreds of schools, libraries, theatres, sport clubs and over hundred daily newspaper, Warsaw was one of the most important Jewish populations of the world. At 1940’s, Nazis built “Ghettos” and started that great tragedy. Today, Warsaw’s Muranow regions has the signs of that days and Jewish cemetary is in this region. 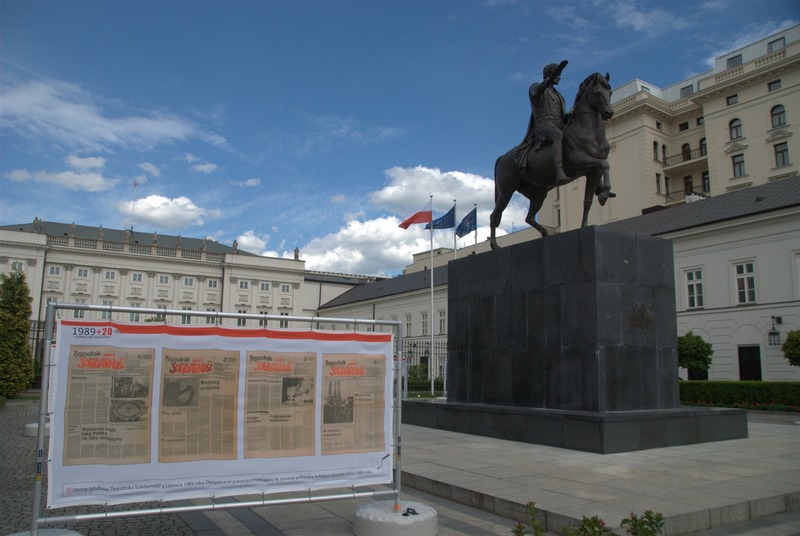 Fourth; “The red capitaş” Warsaw. Over fourty years the city was the home of the socialist system and the social realist planning can be seen at the buildings and other arrengements. At the hearth of the city, Palace of Culture and Science stands out. This 235 meters tall building was built by Soviets at 1955 and it’s still the tallest building of Warsaw. Warsaw is a plane city and this building can be seen from everywhere. Every month international congress’ and conferences are held in this building and it’s terrace has a theatrical space. Soviet Soldiers Moseleum at the great Mokotowskie park is also one of the most important buildings from near future. Fifth; green city Warsaw. Inside the city Saski, Lazienki, Wilanow, Warsaw University parks have considerable sizes and other then these are countless parks, gardens, green spaces, woodens makes city absoulte green. This kind of greenery and Wisla River are also great support to natural life. The best example of that is, a couple of hawks are nested in Palace of Culture and Science, a skyscaper. Wisla River is a wide, stagnant stream. At the both sides of river there are walkways in the woods. It’s a peaceful place full of people riding bcycles, running, walking, fishing, exercising. Also water sport can held at river. Watching the ailors and rowers that passing under the bridges is also another pleasure. Sixth; artistic Warsaw. Fine arts were paid attention in whole times. People from Warsaw proud of their citizens like Choping, Curie, Copernicus and there are a lot of places related to the great composer. 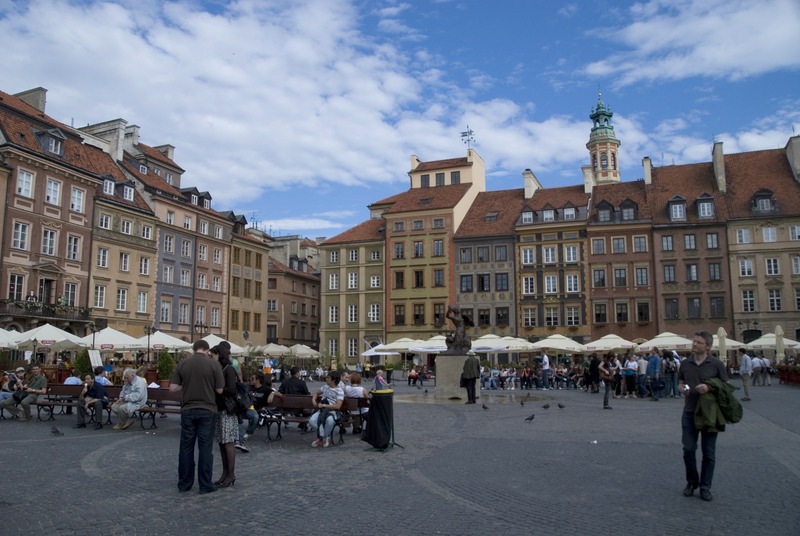 Praha, a part of Warsaw is located in eastern side of Wisla River. Before it was a seperate city but in time became a part of Warsaw. This region had no damage in war and ateliers, galleries, alternative theatres, concert halls, cultural centers and cinemas creates a special atmosphere. Seventh; modern Warsaw. New structure made Warsaw a dynamic and modern city. Good advantages of social realistic heritage like wide roads, big parks provided comfort. In one corner one walks in the old Warsaw and then after one step to the new part of the city, it’s like stepping from history to future. While we were saying goodbye to Warsaw, this city placed in our minds as containing weight of history and dynamism of present both, a beautiful city without problems. Goodbye Warsaw! Do widzenia Warszawa!